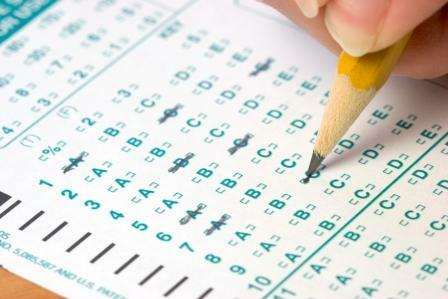 According to the dictionary a test is “a short written or spoken examination of a person’s proficiency or knowledge: a spelling test.” This kind of test applies to school. Then there are tests that happen to us in life. This is the second definition for test: “an event or situation that reveals the strength or quality of someone or something by putting them under strain: this is the first serious test of the peace agreement.” This kind of testing can go on for a lot longer than in school and can seem so much more difficult. I suspect many of us would readily admit that we didn’t like tests in school and we don’t like tests in life either. If you are a believer in God, as I am, a test may be seen as a cruel event placed by God in your life so God can see how tough you really are, how strong your faith actually is. This kind of thinking can lead to resentments against God who seems to be a mean school master intent on teaching the lessons of life in ways you will never forget. From my understanding about God, this kind of thinking is off the mark. I believe God knows everything: past, present and future. If this is true, then God already knows how you are going to respond to the test. Since he already knows how you are going to respond then he cannot be the one who will learn something, it must be you. As you go through the test, you will learn that you can or cannot endure the thing you are going through. The test is for your benefit and your learning. Take a moment and think back on all the difficulties you have gone through in your life so far. Did you gain from them? For me finding a tumor on my ankle was a terrifying discovery. However, as I settled into living with it and discovering what tests I needed to learn its pathology, I calmed down. I learned that when I get shockingly bad news, I will eventually accept it and gradually act accordingly. We humans have an amazing capacity to adapt and accept difficulties. Would I have learned that if I just read the statement in a book without going through the test? I doubt it. By the way, the tumor was benign. So as much as we find them uncomfortable, tests are still a regular part of learning in the school of life. You and I continue to learn at every age, at every stage in life. This entry was posted in Faith, Faithfulness, Fear, Focus, Learning, Letting Go, Medical, Morale, Patience, Perseverance, Perspective, Prayer, Providence, Questioning, Relaxation, School grades, Self-Discovery, Study, Suffering, Teacher, Temptations, Tests, Trials and tagged Learning, Patience, Perseverance, Prayer, School, Self-Knowledge, Suffering, Surrender, Temptations, Testing, Trials, Trust, Worry. Bookmark the permalink. 1 Response to It’s a Test!